Along streambanks and ponds, the box elder (Acer negundo) is yellowing and losing its leaves–one of the many subtle signs of California fall. Despite its name the box elder is one of the two maple species growing in our area. 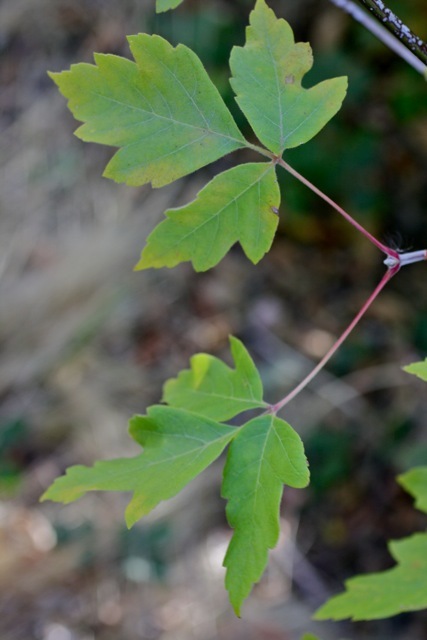 Unlike the classic maple, box elder leaves are divided into three–or sometimes more–leaflets; they are also known as cutleaf maple or ash maple. The picture shown here is a single leaf composed of three separate leaflets. The leaves are usually smooth on top, with a velvety fur on the underside. The trees can be low and shrubby or a graceful tree nearly 70 feet tall. They aren’t a common sight, but they are a California native. Keep your eye out for them in the springtime, when abundant drooping racemes of rose-purple flowers appear alongside the budding new leaves. 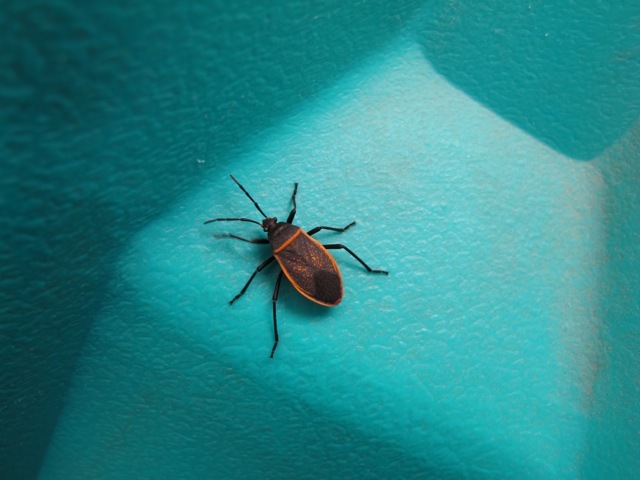 incidentally, these trees are host to adorable little red and black box elder bugs which mainly feed on this and other Acer species.